Nearly a dozen small publicly traded companies in various industries have announced plans over the past few months to tap the cannabis market, another sign that mainstream businesses and investors are taking marijuana seriously. Some had dipped their toes in the medical marijuana/hemp industry in the past but have now decided to make it a main focus, while others are just now starting to offer cannabis-related products and services – including everything from edibles and nutritional supplements to software, clothing and marijuana treatments for pets. Several have even decided to abandon their traditional businesses and go all-in on the marijuana industry. 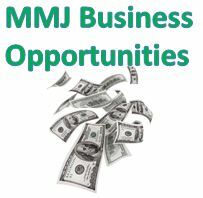 All of them cite the vast potential of the medical and recreational marijuana industries, which will hit an estimated $1.5 billion in sales this year and could climb to $6 billion by 2018, according to the Marijuana Business Factbook by MMJ Business Daily. The companies range from a nutritional and food-focused firm to one that sells surfing apparel. Many are established and have been in business for years. To be clear, these are not major players with household brand names. All the companies are relatively small and trade on the over-the-counter market for just pennies a share (or in some cases even less than a cent, which should make them feel right at home in this industry). But their new-found interest in cannabis highlights the industry’s growing viability and appeal. Creative Edge Nutrition (FITX) – In March, this Michigan-based nutritional supplements company – which develops products tied to weight loss, energy and fitness – announced that it would enter the medical marijuana industry by offering hemp protein powders. The company pitches the hemp-based products as a viable alternative to milk-based powders for customers with lactose intolerance or digestive problems. And this is just the start: “We are aggressively looking to acquire licenses and brands in the industrial hemp and medical marijuana industry in order to capitalize on this growing market sector,” the company said in a press release, adding that it will release other medical marijuana-infused products. It has since followed through on that promise, developing a hemp oil product, a hemp tea and a hemp coffee additive. Creative Edge said it has a model in place to license its formulations to businesses in medical marijuana states, allowing them to replace the non-psychotropic CBD content with buzz-inducing THC and then sell the products to MMJ patients. The company’s stock currently trades at a fraction of a cent. Endexx Corp. (EDXC) – This Phoenix-based company has its hands in a variety of industries, including renewable energy, software and document-management technology. But earlier this year it began carving out a niche in the medical marijuana industry, and that is now a major focus of the company. Endexx has made several acquisitions in recent months, purchasing Cann-Can and Dispense Labs – which both develop automated dispensing machines for the MMJ industry – and a management technology platform that helps dispensaries and other cannabis businesses with everything from compliance to patient verification. The company’s stock currently trades a at 11 cents a share. Homeland Security Corp. (HSCC) – In late February, California-based Homeland Security Corp. (HSC) announced that it would begin marketing its surveillance and security products to the medical marijuana industry on a widespread basis. The company now offers security, inventory and compliance consulting services and technology to dispensaries and grow operations, as well as a line of vaporizers. A top HSC executive spent several years working closely with the Medical Marijuana Enforcement Division in Colorado, helping develop systems that meet the state’s strict security requirements for MMJ businesses. The company decided to leverage that experience and spin it off into a new business. “HSC plans to take the model we helped develop in Colorado, refine it, expand it and adapt it to each state that plans to go through legalization and compliance efforts,” David L. Shade, chairman and CEO of HSC, said in a press release. The company is now also working on authentication and auditing products tied to the “seed to sale” requirements in many new medical marijuana states. Homeland Security Corp.’s shares currently hover around 2 cents. Latteno Food Corp. (LATF) – This California company – formerly based in Canada – focused for years on acquiring and running companies in the food and beverage markets, with a focus on the dairy and coffee industries. Earlier this year, however, it changed directions and put forth a new business plan geared towards the medical marijuana edibles market (while also concurrently expanding into the seafood business). Since then, it has purchased a dispensary called Green Cannabis Collective. Its shares currently trade for less than a penny. Neutra Corp. (NTRR) – Florida-based Neutra Corp. – which develops natural wellness products as well as coatings for indoor and outdoor surfaces – announced this spring that it is exploring ways to the enter the cannabis industry. The company is considering everything from production support and systems to logistics and legal services. “We are investigating new methods of product delivery aimed at a broader market as well as potential partnerships with cutting-edge research and development companies with innovative ideas,” the company said in April. Its stock currently trades at 50 cents a share. Vitamin Blue (VTMB) – In perhaps on of the most surprising transitions, California-based Vitamin Blue – which built its name offering shorts, shirts and accessories for surfers and watersports enthusiasts – has now hitched its wagon to the cannabis industry. The company announced the new strategic direction this week, saying it will offer hemp clothing and edibles. “We are pleased to make great progress in our recent purchase order for hemp/organic clothing. Management has decided that with the recent growth in the edible marijuana market and the legalization of medical marijuana in various states, this industry is where we’ll want to be and the time is now to take action,” Frank Ornelas, Vitamin Blue’s chief executive officer, said in a release. The company’s shares currently trade for a penny. Other companies following similar moves include Toronto-based Easton Pharmaceuticals (EAPH) and Nuvilex (NVLX) – which is considering developing cannabis-based treatments for pets – among others. These companies join the dozen or so other publicly traded firms devoted to the marijuana space. Some public MMJ companies appear to be barely hanging on, but a handful of these firms could one day go on to become leaders of the industry. Still, investors should exercise caution, as these so-called “penny stocks” are very risky and volatile.